We can make boxes of all sizes for any use! 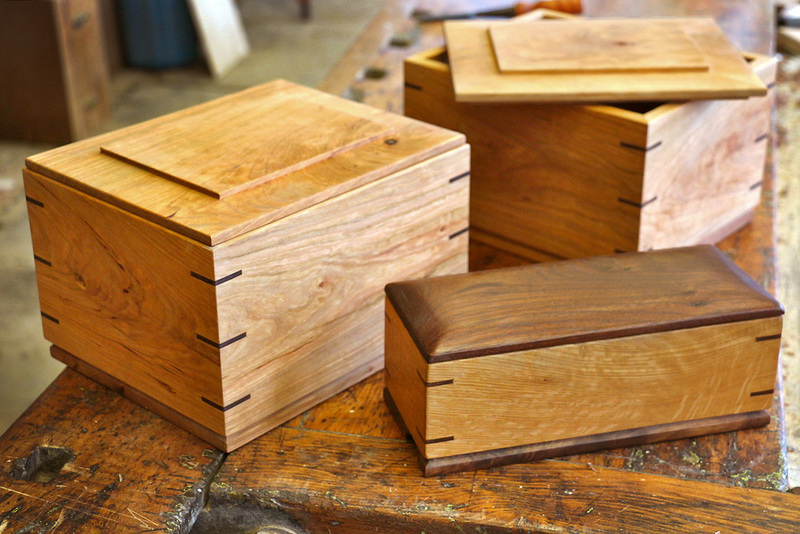 The boxes pictured are made with an elegant splined mitre joint, though we can make them with a variety of functional and decorative woodworking joints. Boxes can be made from a variety of material and made to fit any specifications you have.